I have little interest in the Oscars this year. The birth of my disinterest was engendered last year when Ellen's [supposedly] humorous attempts reiterated the fact that my decision to work while having the program in the background was indeed a sound one. However, the true lack of enthusiasm this year has much to do with the choice of the films that came out in 2007. Quantitatively, 2007 delivered, no doubt; qualitatively, however, it failed most spectacularly. 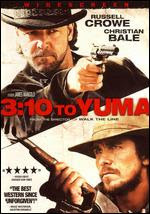 3:10 to Yuma and the little indie Once were the only efforts that made it worth my while. Thanks, Mangold and Carnye respectively. Going to the movies is not a Cinema Paradiso-esque experience anymore but rather a test to measure one's degree of disappointment. -Oh, it didn't disappoint me horrendously. -Ok, in that case, I'll go see it. If a movie is lukewarm, we'll go and watch it. This celebration of what I call Jan Brady-esque projects is bothering me to the core. Films are such a powerfully beautiful text; what does the production of such mediocrity reveal about us and our attitudes about art? And this year, the list of Oscar nominations contains an army of films that don't quite reduce one to tears of boredom. The message of the story: You weren't entirely horrid so I think an award is in order. But, really, is that what the medium of cinema is all about? Where has the magic of Fellini, Scott, Bergman, Kubrick et al., gone? I'd like to come out of a movie theater in 2008 and send a text message to someone saying, 'You have GOT to see this.' No texts of this nature have been sent out yet. And we're approaching March. I might guess what your answer will be but am giving it a shot anyway, how much did Atonement annoy you? And what's with the Oscar buzz around it? The song from "Once" won best song. Perhaps it will drive more viewers to the little film. Also, the filmakers/songwriters were sweet and engaging in their acceptance and maybe that will also entice more viewers to see what they accomplished. Yes. 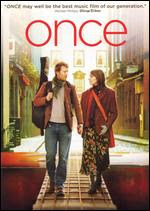 'Once' winning for best song. Now that was a reason to watch the Oscars. A wonderful film and an equally wonderful song.